Dividing your property at the end of a marriage can be a difficult and trying process. You may have emotional attachments to your home, furniture or other items that your spouse may also want. 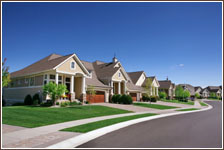 Determining which of you has a legal right to keep the property can be a tricky process. There may be a pre-nuptial agreement in place that will determine how the items you and your spouse had before marriage will be divided. The terms may also divide the property you accumulated during your marriage. If there is no pre-nuptial agreement, there may be negotiations over anything from a pet to a small piece of bric-a-brac. Having an attorney is the best way to protect your right to property you want to keep. The way that property owned by parties involved in divorce a proceeding is usually distributed is defined in one of two ways. Courts use either community property theory or equitable distribution theory. State laws where you live will determine which method will be used to divide the property you own with your spouse. Depending on the laws in your state, property you inherited or owned before the marriage is sometimes not included in the division. An experienced divorce attorney can help you understand the complex issues of dividing your marital property. Generally speaking, community property is defined as the assets acquired by a couple during their marriage. There are community property statutes in Arizona, California, Idaho, Louisiana, Nevada, New Mexico, Texas, Washington and Wisconsin. Most laws allow for an equal division of community property, without concern about financial need or income potential of each spouse. Every state has its own definition about what constitutes community property. Sometimes items that were owned before you married are exempt from community property. Property and assets included in a pre-nuptial agreement and inherited property is usually excluded from community property. In addition to property that is owned by the couple, debts incurred during the marriage are also owed by both partners. This can include credit cards, home mortgages and car loans. If the courts in your state use equitable distribution, the process for dividing property can be a little more complex. It will attempt to create an equal footing for each spouse once the marriage is dissolved. The court will take into account many factors, such as the earning power of each spouse, the value of separate property, duration of marriage and age and health of spouse. It may also take into account which spouse contributed to creating the home. If one did more work to secure the property than the other or had greater responsibility for the care of children. It can also use equitable distribution to penalize a spouse for abuse or marital infidelity.